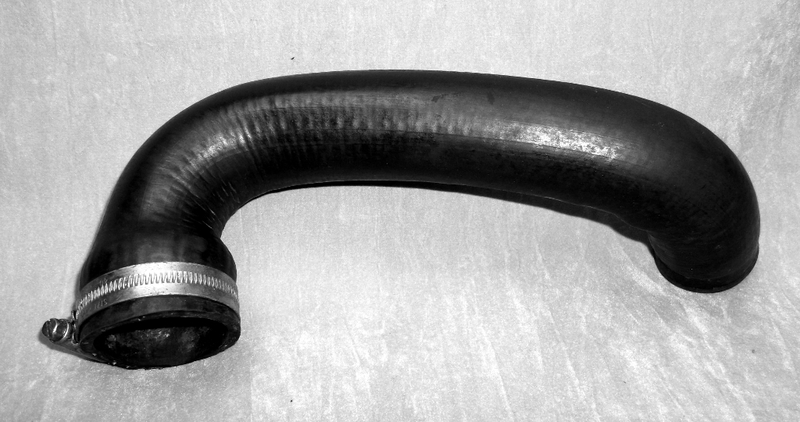 As the summer months are upon us, its a good time to check the condition of your radiator hoses, there's nothing worse than getting stranded for the need of such a basic component. When I was using my Opel Manta as daily driver I always had a spare pair of radiator hoses in the boot. I also fitted stainless steel hose clamps for easy maintenance, as trying to cut off a rusted up Jubilee clip with a junior hacksaw is not my idea of fun. These Opel Manta radiator hoses are all salvaged, but still in very good condition without visible perishing, cracks or other flaws, currently, I have 4 of the upper hoses, some some are genuine Opel made in Germany, catalogue number 13 36 782 or GM part number 03 448 716 and the others are branded by DEV? their part number is DEV 201 2481. They are available for £5 each plus p&p, the best examples go out the door first and stainless clips are not included. I also have 3 of the lower hoses, 1 is in good condition, the remaining 2 are starting to show signs of cracking and bulging near the clip, these you can have for free.